I just converted this photograph to a digital file. 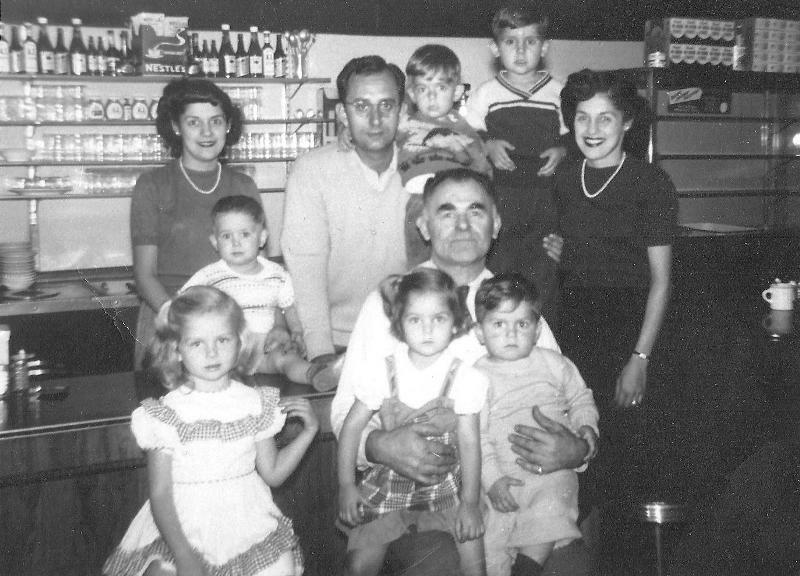 It was taken in the early 1950’s, of my maternal grandfather, Emanuel Yanoulis, and his family, at his restaurant on the east side of Detroit near the Chalmers Motors/Chrysler Jefferson Assembly plant in Detroit. So you see cooking & cars run in my family! Starting from the top left is my Aunt Bess, who is my mom’s twin, my dad, Fred Dallas, my brothers, Ted and George and my Mom, Matina. In the middle is my cousin Nick, just under my Aunt Bess, then my Papou. Starting from the bottom left are my cousins, Victoria, and Evelyn, and my brother Mike. Many Chrysler auto workers ate breakfast, lunch and/or dinner at my grandfather’s restaurant. 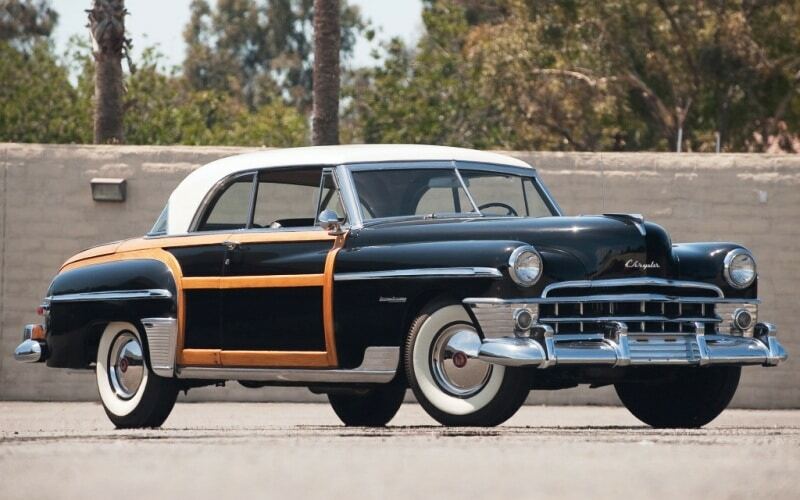 Here’s a photo of a Chrysler Town & Country, which was a model they made at that time. Also, my father worked for Ford Motor in Dearborn for over 30 years. More evidence of cooking & cars. Lots of Greek and Detroit history in that family photo. And don’t you just luv this car?! !